It doesn't look likely that Microsoft's rumored Surface phone is going to be released any time in the immediate future, but a recently published patent suggests that when it is revealed, it could feature an on-screen fingerprint scanner. 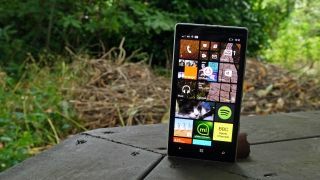 The patent filed with the World Intellectual Property Organization (WIPO) shows that to make this feature possible, Microsoft would have to build a wave guide under the phone's screen. This would be alongside a filter which would enable sensors at the side of the screen to sense when a finger is placed on the glass. With most phones on the market right now featuring fingerprint scanners either built into the home button or on the back of the phone – just close enough to the camera lens to lead to minutes of pointless, increasingly aggravated pressing – this would be a stand-out move from Microsoft. By integrating the fingerprint scanner into the phone's screen, Microsoft would be able to save space and make thinner handsets. This is, of course, just a patent so there's no guarantee that the technology will ever actually make its way onto a Microsoft handset. This is especially uncertain since Microsoft hasn't actually confirmed that it's planning to release a Surface phone, though considering the planned death of the Lumia line, some kind of announcement could be expected soon. Microsoft wouldn't be the only company trying to change up the fingerprint sensor if it tries this – the idea is reminiscent of LG Innotek's fingerprint sensor designed to live under smartphone glass, and it certainly falls in line with our thoughts on the less-than-hopeful future of the phone button.